If you are looking to make extra income from rental income, it is a smart idea to look into commercial real estate because it has a better rate of return compared to residential. There are numerous Denver commercial properties that may make good investments, but it pays to do your research. Before making any decisions, it is important to evaluate potential properties for income potential and associated risks. One of the benefits of buying commercial real estate is there are many different options available to consider. These include apartment complexes, self-storage units, warehouses, retail building, and office complexes. Because most of these rent out to multiple tenants, the income potential is quite favorable and definitely more than for rental of a residential property. There are different types of leases, but if your tenants sign a triple net lease, they are responsible for the majority of property expenses. This means you have less financial responsibility during the terms of the lease. 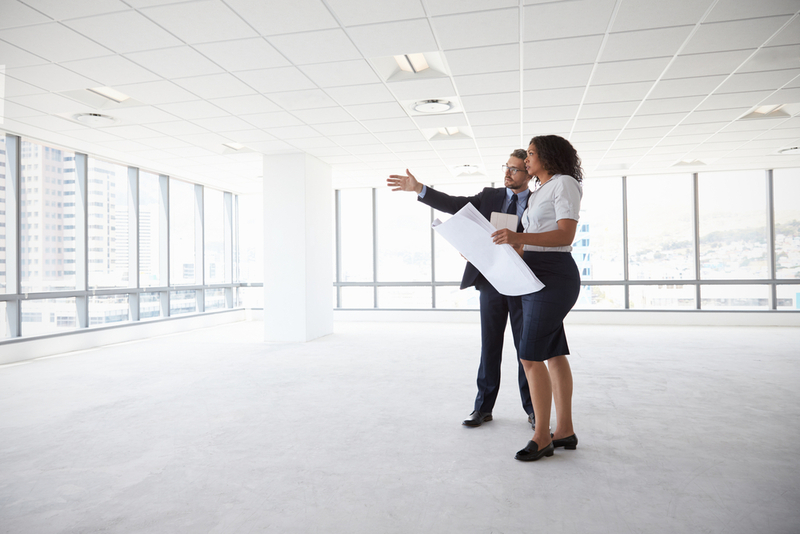 Speaking of the lease, a commercial lease is typically signed for a longer time period, providing a nice income stream for the owner and increasing the amount of time before a new tenant needs to be found. Depending on the use of the property, there may also be limited hours of operation, which means fewer liability risks after hours. A smart real estate investor knows that there are always risks involved with the purchase. The more you know, the more you can make an informative decision. First of all, it takes a larger investment initially to buy commercial compared to residential real estate. Most investors need to take out a loan, and the majority of properties require a deposit of up to 40% of the property’s value. There is also quite a bit of liability to consider, even when many of the expenses are covered by the tenants. The building must be repaired regularly to keep everyone safe. You also must maintain the property and take special precautions during inclement weather. The cost of liability insurance should be a factor during your evaluation process. You must consider tenant turnover. Not only does this mean there is a loss of income while looking for new tenants, but you may also need to repair or make updates to prepare for a new move in. There are numerous ways to find commercial properties for sale. Consider hiring others for a referral fee to help widen your search. You can also scan ads and use multiple internet searches. It is also a good idea to walk around the neighborhoods of potential properties. Talk with residents, attend open houses, and get a general feel for the area. Part of your discussions with these professionals revolves around financing. They can help you analyze income and expenses, inspect the property, and obtain quotes for business and liability insurance. Buying commercial real estate in Denver can be a good investment if you choose smartly and work with an experienced commercial broker. Unique Properties has over 40 years of experience in a variety of properties such as retail, office, medical, industrial, multifamily, and land. Contact us for all your commercial needs.